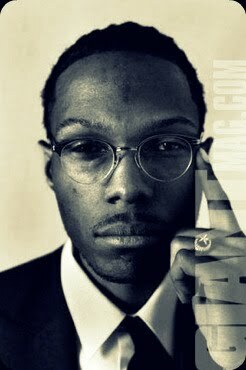 Malcolm Lateef Shabazz was born in Paris, France in 1984. His mother is Qubilah Shabazz, the second of Malcolm X’s six daughters. She was only four years old when her father was killed right in front of her at the Audubon Ballroom in Harlem. "I am [my grandfather’s] first male heir, his first grandson. [I’ve read and been told that] he always wanted a son. No boys in the Shabazz family until me. People often describe me as troubled. I’m not going to say that I’m not. But I’m not crazy. I have troubles. A lot of us do. But you need to understand where I’m coming from and why I am the way I am. Considering what I’ve been through, it’s a miracle that I’ve been able to hold it together. I’m just trying to find my way. [I’ve read newspaper stories about me that] say, “Experts testify [that boy] is psychotic.” The way they describe me is wrong — bi-polar, depression, pyro, whatever. I know I’m not at all. Some of the things I’ve been through, the average person would have cracked."